The story is set in Boston and begins in the 1970's. Toby and Elizabeth meet at the park while there with their children and form a lifetime friendship. Toby who is an avid reader is given a book by Elizabeth called "Trolley Girl" and hence begins the "bookception" if you will, a book-within-a-book. 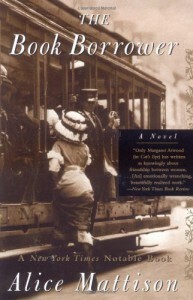 "Trolley Girl" is made to believe it's based on a true account of a union activist in the 1920's in Boston. It tells her story of tragic events that changes the lives her she and her family. I felt the character development in this story was superb. 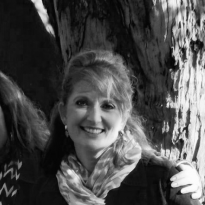 Toby and Elizabeth's friendship spans the decades from when their children are infants until they are grown. Definitely one of the best books I've read about a friendship. It was believable and palpable. As I began this book I found it difficult to follow due to the unusual dialogue construction. Fighting it at first it was beyond frustrating but once I grew accustomed to this style it became easier to follow. I would recommend this a book to a true reader. Someone who loves reading simply for the sake of reading.